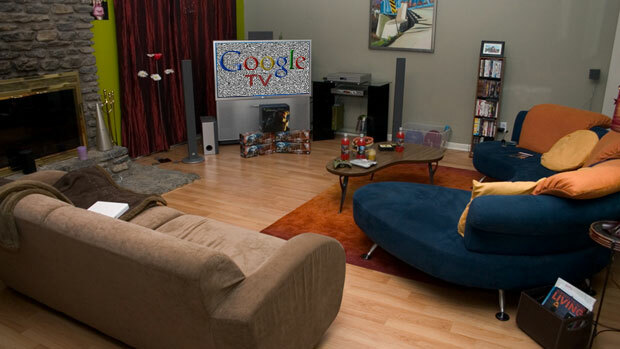 How will the GoogleTV experience differ from current TV viewing experiences? And–perhaps most importantly–which major media companies are willing to play with Google to provide premium content? I’m sure Google was reading my last post and decided it was time to come clean about their intentions to enter the living room via GoogleTV. Kidding aside, that’s what was reported recently. In a nutshell, Google is extending its reach into your living room and inviting Sony, Intel, and Logitech to the party. Couple this news with Google’s Fiber to Home trial initiative offering 500,000 people a Google high-speed network, and you’ve got the makings for an epic battle with TV service providers. Right now everyone is considering the short term implications. How will GoogleTV impact Apple TV’s business line? Will Google use the Chrome OS? How will Google TV play with Android? Yet there are two questions I haven’t heard: How will the GoogleTV experience differ from current TV viewing experiences? And–perhaps most importantly–which major media companies are willing to play with Google to provide premium content? In the experience realm, Google’s ability to potentially allow for content portability will trounce anyone who attempts to compete. If I start to read about portable TV/DVR content via Android, not only will I be giddy, but in one swoop Microsoft will have to quietly put its tail between its legs and rethink how Windows Mobile 7’s sling functionality with Netflix will actually matter. Apple will also have to seriously consider Apple TV and its role in my living room moving forward. of my YouTube video, but if it pops up in the middle of my favorite show, I’ll freak out. we think. But to adopt a larger audience beyond designers, developers, and nerds such as myself, Google will have to push harder to provide content beyond YouTube videos and social interaction on TV. Hulu is nice but more of an aperitif rather than the meal. My kids want Disney. My wife wants ABC. I want HBO. The mere mention of Google’s interest in the living room is fascinating. But wake me when I can flip on my Google TV and catch the latest episode of The Pacific. analysis, search engine optimization (SEO), search and analytics integration and social media strategy. With clients as diverse as MTV Networks, USATODAY.com, NPR, and JPMorgan Chase, Giovanni provides expert strategy and advice in the areas of stakeholder and staff alignment and new publishing models for emerging platforms such as social media and mobile channels.